Wounded Times: Maj. Margaret “Hot Lips” Houlihan taking Honor Flight! Maj. Margaret “Hot Lips” Houlihan taking Honor Flight! For the Female Veterans Flight, only women will be onboard. The veterans. Their escorts. The airline pilots. The flight attendants. Even the news media. Loretta Swit Actress who played Maj. Margaret “Hot Lips” Houlihan in “M*A*S*H” will speak before flying with vets to D.C.
Come September, an actress who portrayed a female soldier on television for more than a decade will travel to Washington, D.C., with a planeload of Nebraska women who served in the military, for real. 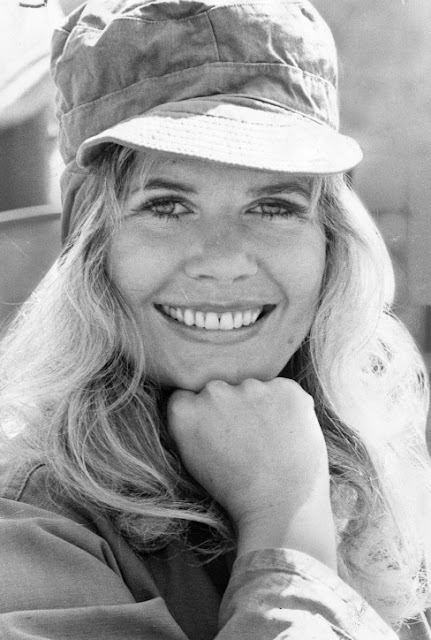 Loretta Swit, who played Maj. Margaret “Hot Lips” Houlihan in the iconic 1970s TV show “M*A*S*H,” is scheduled to speak at a dinner honoring the 135 female veterans in La Vista on Sept. 23. The Korean War comedy-drama focused on an Army combat medical unit. Swit, now 80, will join the veterans early the following morning on the first leg of the daylong trip to visit patriotic sites in the nation’s capital.